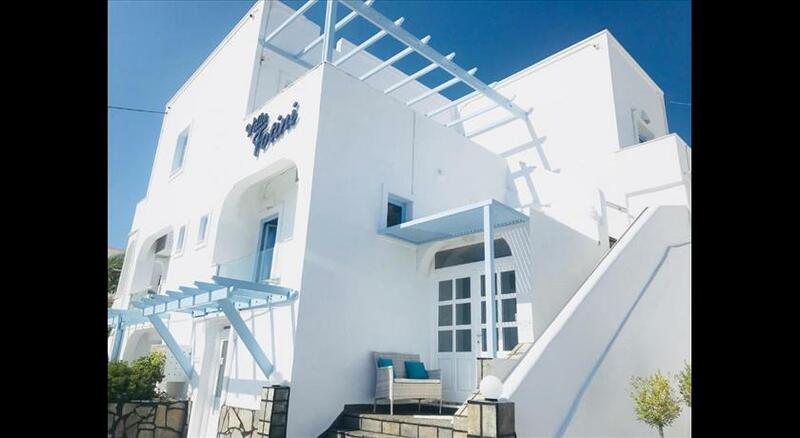 The Cycladic-style Afrodete Hotel is situated in Firostefani , a small hill at Santorini ’s capital Fira. 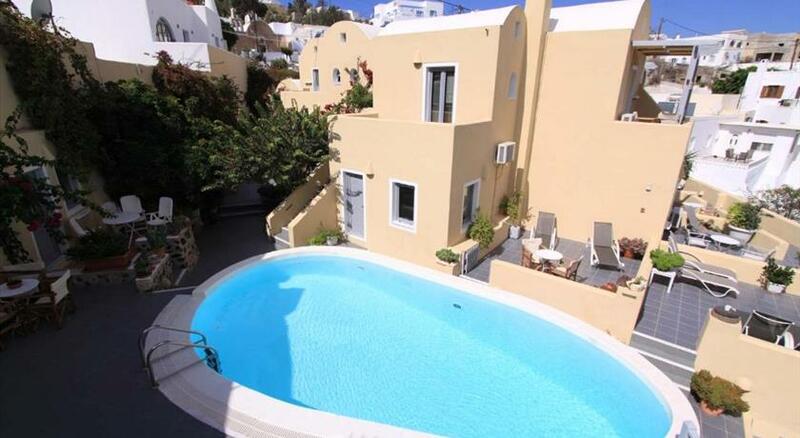 It features a hydro-massage tub and views of the Aegean Sea and the island of Anafi. The uniquely decorated bright rooms at Afrodete are air-conditioned. Each has its own bathroom, fridge and TV. 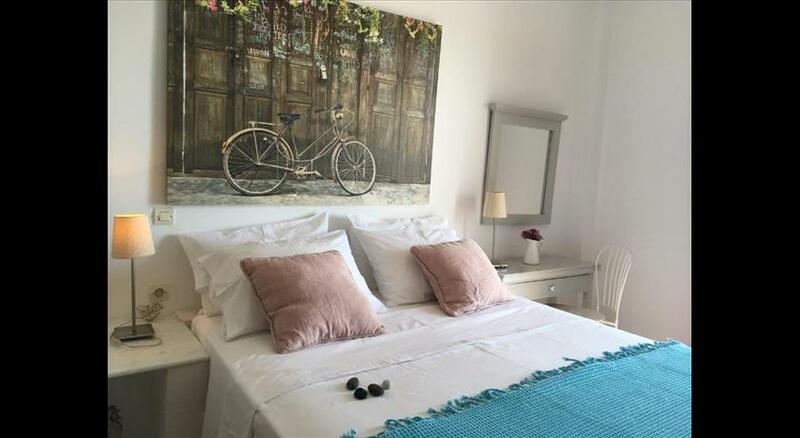 Several rooms have a balcony or a veranda and some of them offer an eastern view of the Aegean Sea. Fira’s central square is only 500 metres from Afrodete. 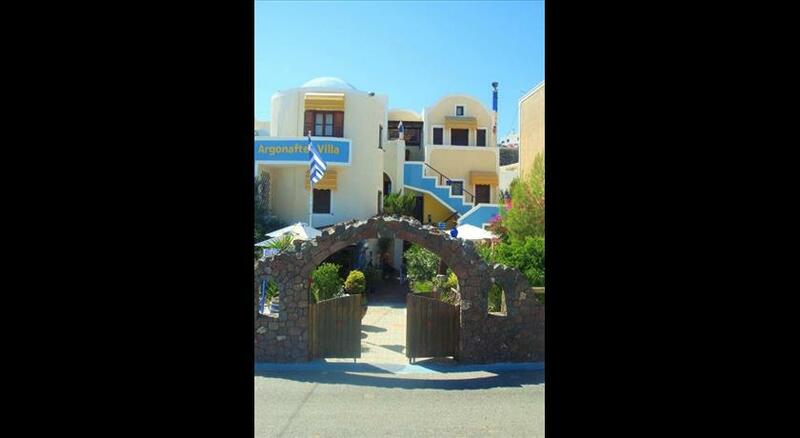 The caldera and the Petros Nomikos Conference Centre are just 100 metres from the hotel. Please note that the outdoor hydro-massage tub doesn't have hot water.